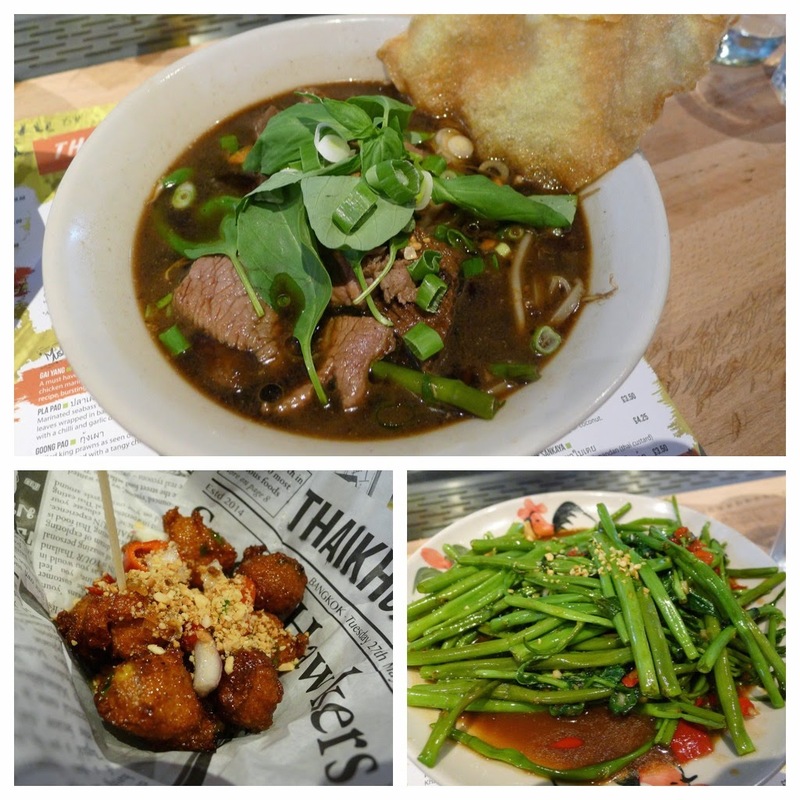 Despite loving Thai food, when Thaikhun announced that it was to open in Manchester, I didn’t get overly excited. 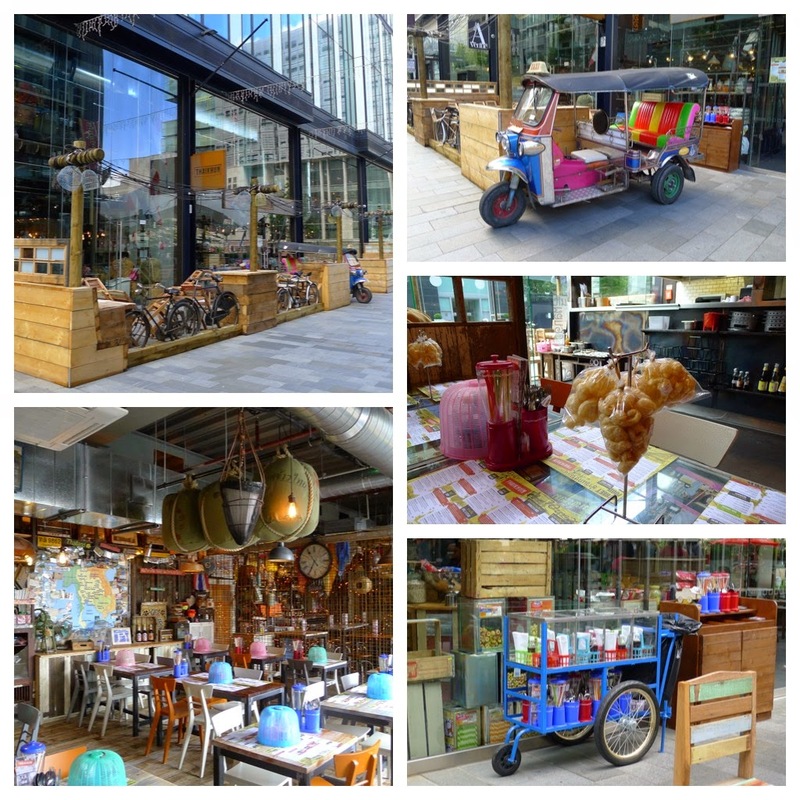 Firstly, it is in the soulless Spinningfields and, more generally, I’ve all too often been disappointed with Thai food in the UK. Still, the good little food blogger that I am, I went along regardless to check it out. To be fair, despite serving ‘Westernised’ versions of Thai dishes, the whole experience wasn’t quite as bad as I had expected. The décor is a bit cheesy (like a Thai version of TGIs) but some of the little details did their job and reminded me of my travels in Thailand… less so, the food. As a stroke of bandwagon jumping brilliance, Thaikhun have taken most of the dishes known as ‘Appetisers’ from the menu on their sister restaurant Chaophraya and cleverly rebadged them as trendy ‘Street Food’. 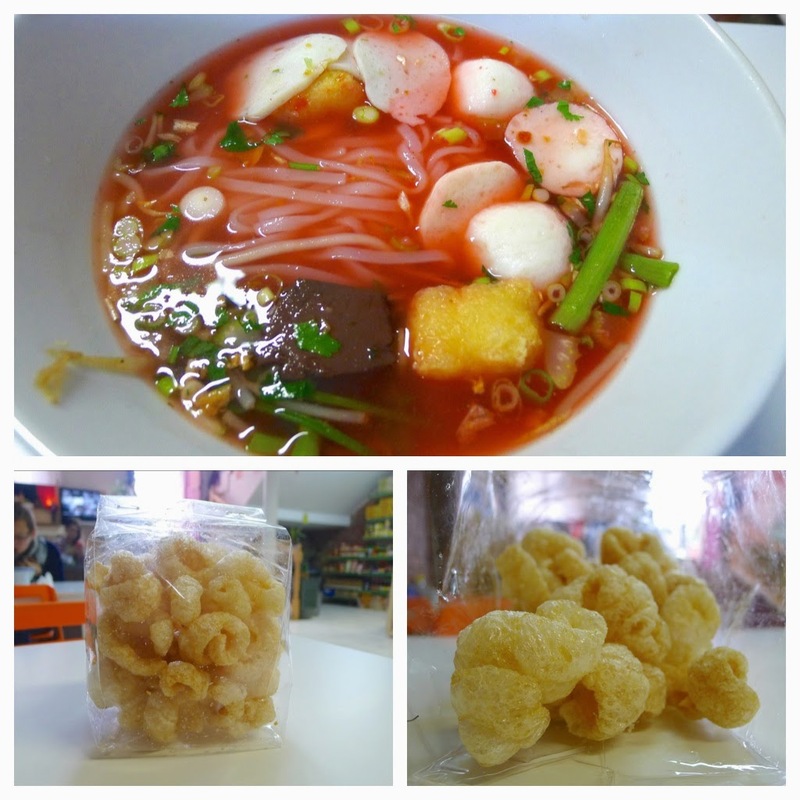 My memories of Thai ‘street food’ included delicacies such as chicken feet and little chicken hearts and kidneys on sticks… you may be able to get all this stuff in Manchester’s Chinatown but not in Spinningfields. I tried the ‘Puk Boong Fai Daeng’ (morning glory with bean paste, chilli, garlic & soya beans), ‘Kuay Tiew Ayuthaya’ (boat broth with noodles), ‘Tod Man Pla’ (deep fried fish cakes) and ‘Khao Kha Moo’ (pork leg with kale and rice). The best dish of those selected was the braised ‘Khao Kha Moo’. This is a dish that I’ve had a couple of times in Thailand - the best version being at “Or Tor Kor Market” in Bangkok (see here) from a lady who specialises in just the one dish. Perhaps to appeal to a broader market, Thaikhun’s version (like the rest of their food) was not way off the mark in flavour but it was just a little too “safe” for me. For example, what had they done with the best bit, the deliciously fatty and gelatinous skin? Before I become too harsh towards Thaikhun, I’ll say that for a good night out in funky surroundings with decent enough (albeit Anglicised) food you could go to far worse places… but for true Thai flavours and an authentic experience, in my mind there is only one place in Manchester to go… Siam Smiles. 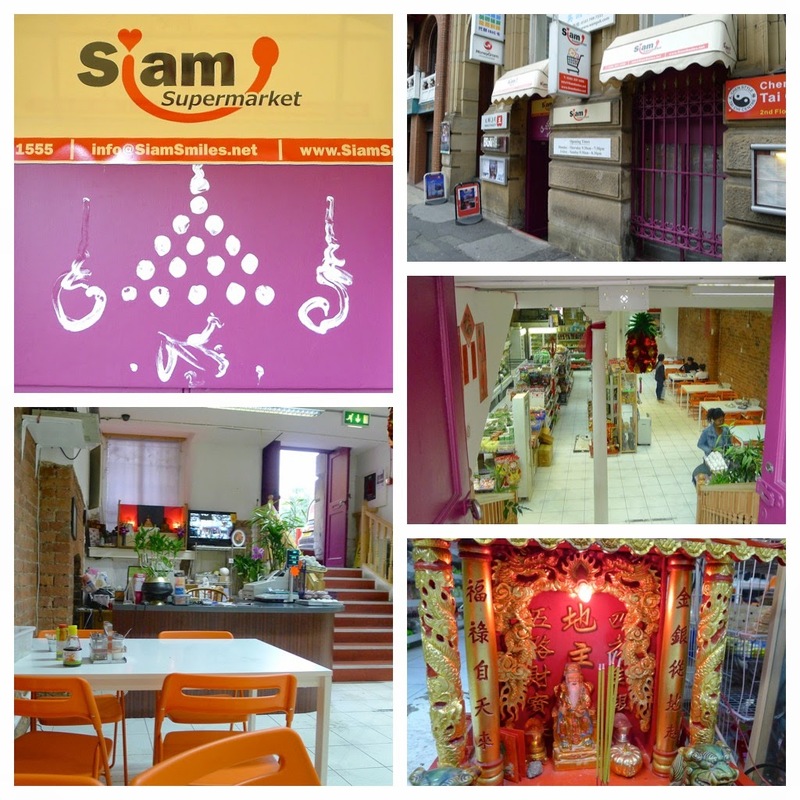 Siam Smiles Noodle Bar can be found on George St, in Manchester’s Chinatown, in the basement location of Thai grocers Siam Supermarket (formerly Kim’s). 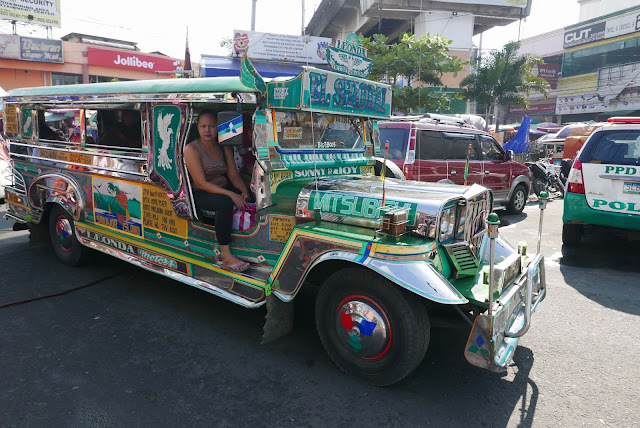 They have been serving food for just a couple of weeks but I have already been back several times and have loved every experience. The simple menu contains about twenty items - most of which are noodles dishes or salads; all of which are deliciously authentic. 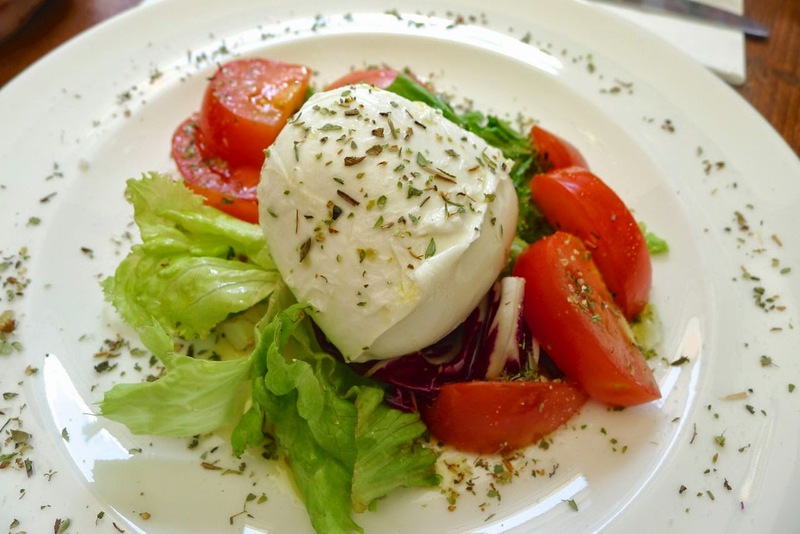 All dishes range in price from just £5.50 to £6.50. 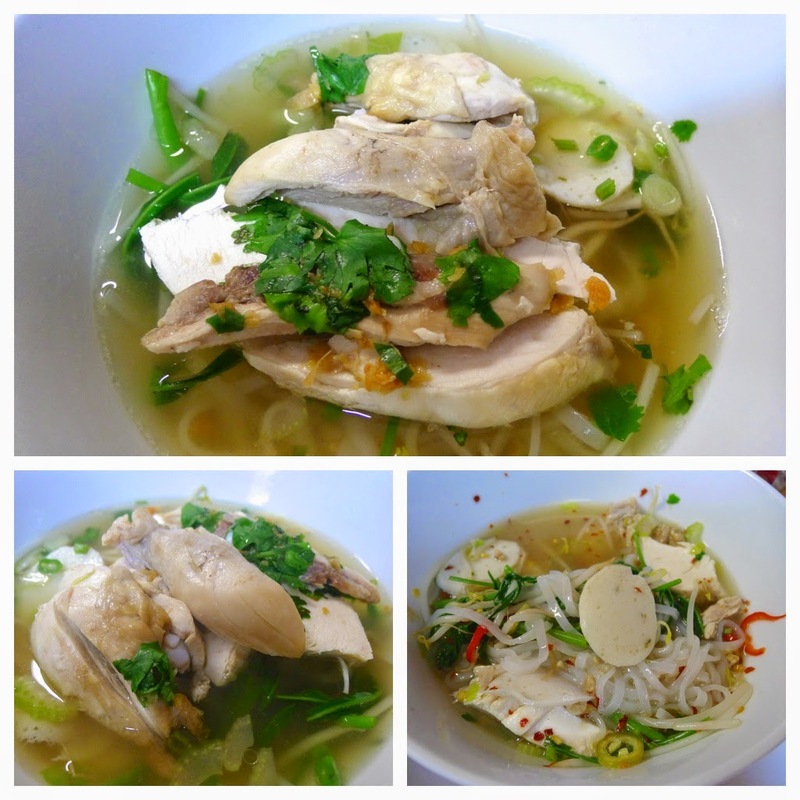 As a ‘Noodle Bar’, Siam Smiles serve versions of each of the more common Thai broths. 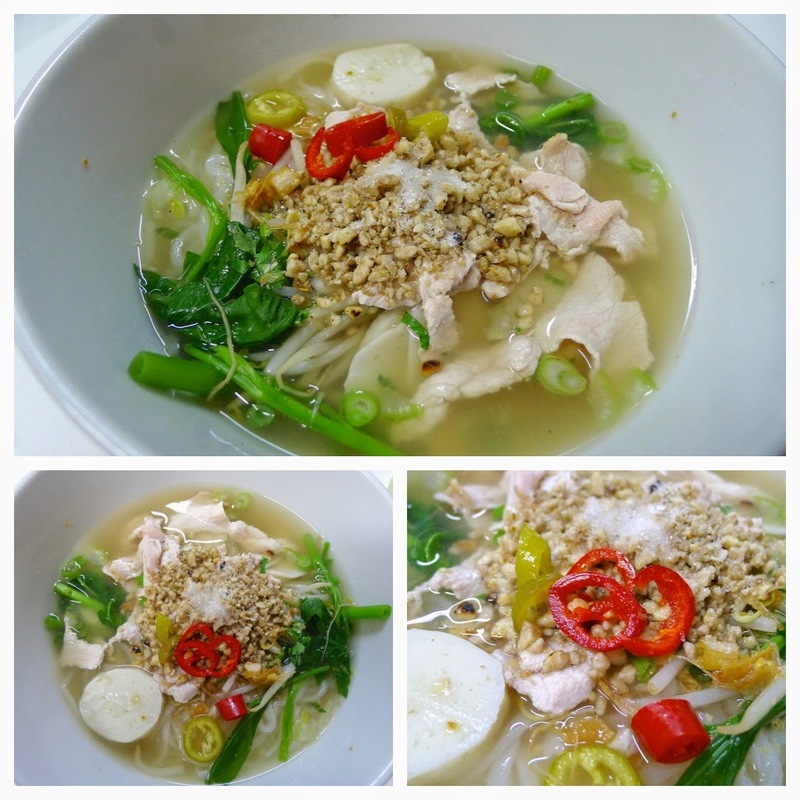 Traditionally, ‘Kuay Tiew’ (often spelt ‘Kuey teow’) refers to the noodles but has also come mean soup. The standard clear stock in Thai cuisine is called ‘nam sai’, which can be made from chicken, pork of beef bones with the basic seasonings of salt, pepper, garlic, sugar and coriander. Dishes with other proteins such as ‘Kuay Tiew with duck’ will be served in the ‘nam sai’ in which they have been simmering. ‘Tom yam’ (or ‘tom yum’) refers to the classic spicy/sour broth; ‘nam tok’ (or ‘naam tok’) will have had pork blood added to give a richer flavour and darker colour and ‘yen ta fo’ is fish based. Veggies and pescatarians be warned that Siam Smiles may not be an ideal place for you as even their ‘Yen ta fo’ contains blood… it’s proper authentic stuff! 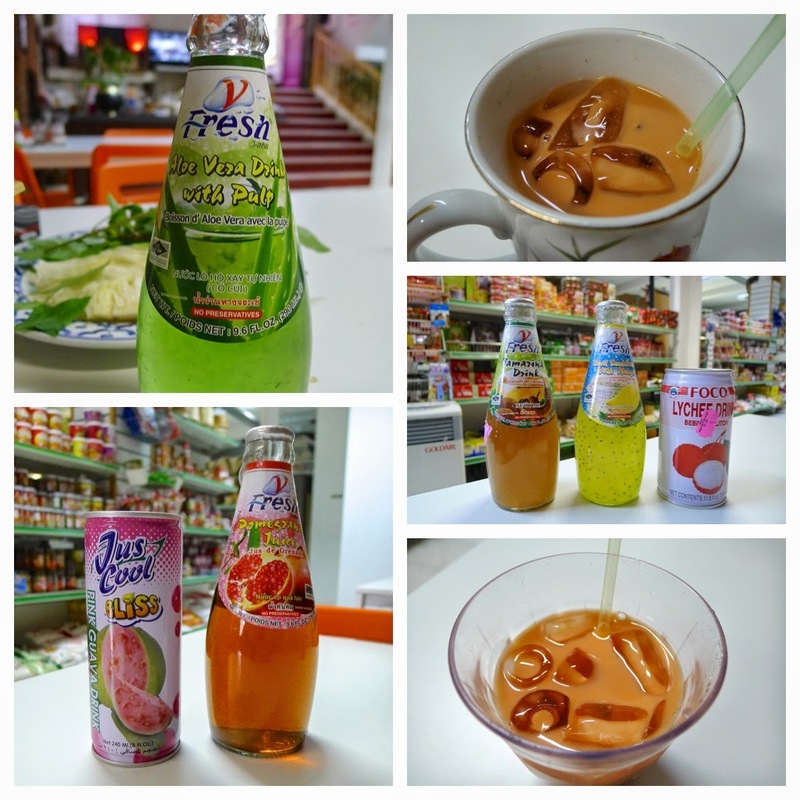 If you are new to Thai food, on each table you will find various condiments – use these to make the kuay tiew “your own”. 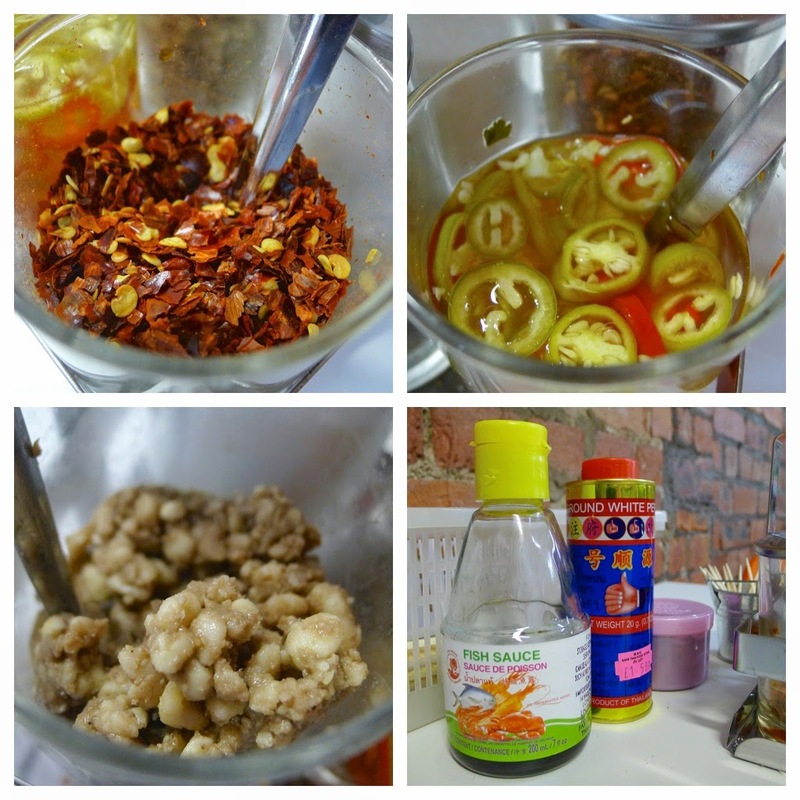 From my observations, most of the Thai folk will begin by adding at least a couple of spoonsful of chilli flakes (for heat), chillies in vinegar (for sour notes and heat), sugar (for sweetness) and peanuts (for their flavour and texture). They will then add smaller amounts according to taste. Soy, fish sauce (for a salty, savoury flavour), fish paste and extra fresh chillies are also available but may not be on every table. Just ask. 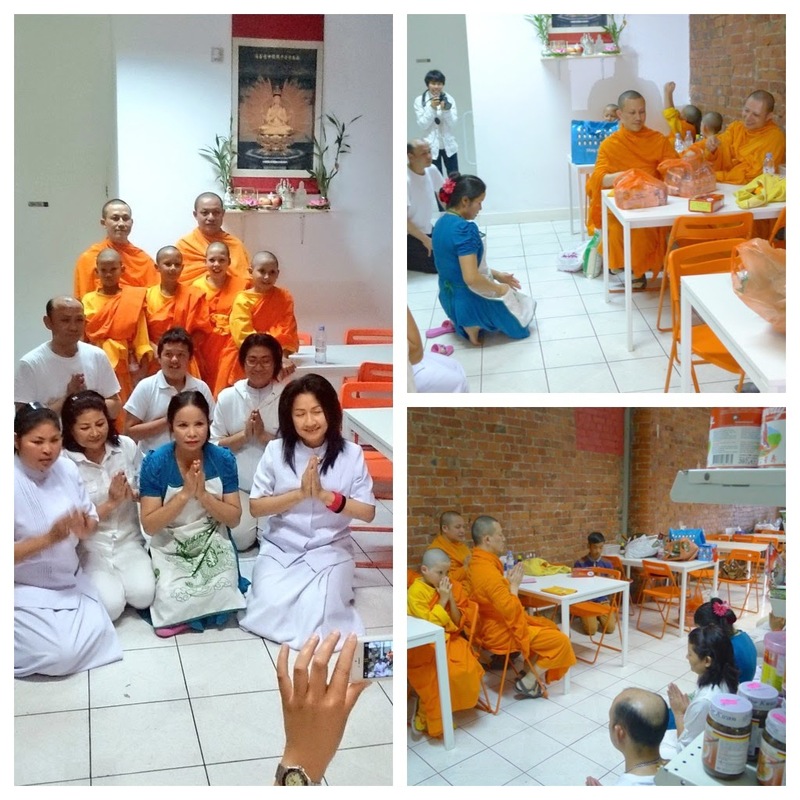 Another thing to note is that I’ve found little inconsistencies – for example, on one visit I found the ‘Lab Moo’ incredibly spicy and delicious; on another visit it was less so. Never however has a dish disappointed and I have now eaten most of the menu (a notable exception being their elusive ‘Kow ka moo’ that has never been ready). Kuay Tiew ‘Tom Yam’ - a hot and sour, rice noodle soup with classic Thai flavours of fish sauce, lemongrass, galangal and kaffir lime leaf. The hot and sour flavours mainly come from palm sugar and birds eye chillies. 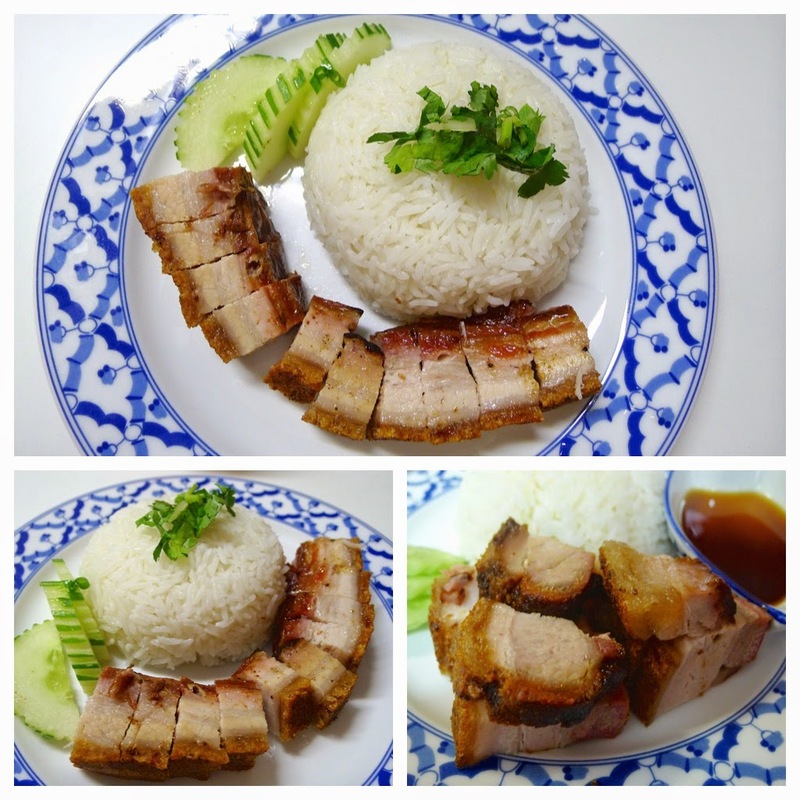 Siam Smiles serve theirs with sliced pork, minced pork, pork balls and bean sprouts. 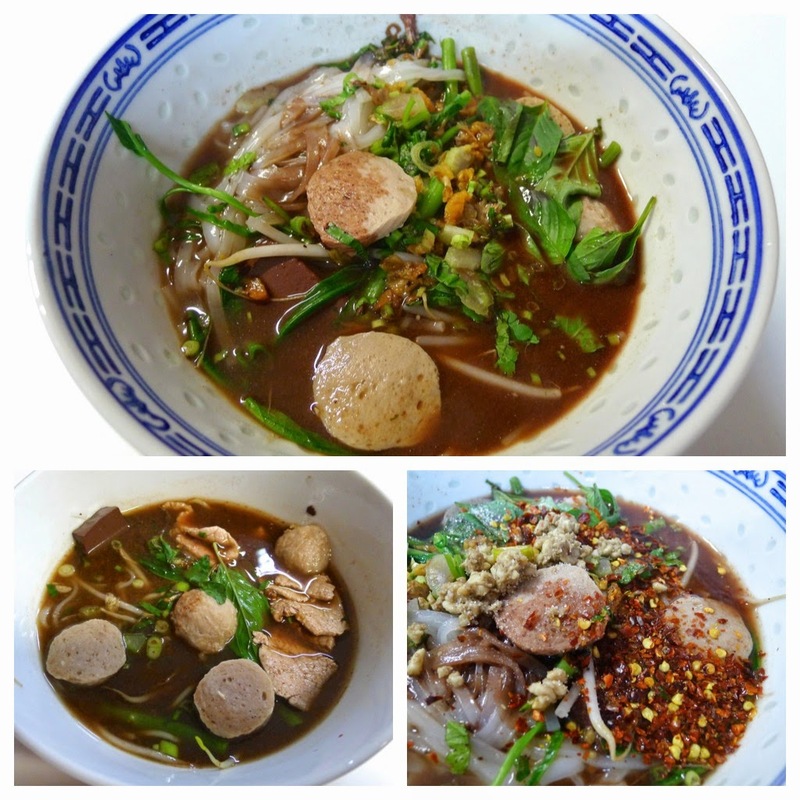 Kuay Tiew ‘Moo Nam’ – a dish commonly known as ‘boat noodles’; one of the most distinctive features being the use of pig’s blood, which is traditionally added to the broth just prior to serving. Sometimes, as is the case at Siam Smiles, a ‘slice’ of curdled blood is also present along with Chinese spices, sliced pork, pork ball, pork liver, morning glory, bean sprouts, green onion, coriander and fried garlic. Kuay Tiew ‘Yen Ta Fo’ – a soup consisting of flat noodles, fermented tofu, fish balls, curdled blood, morning glory and coriander. The bright orangey red colour comes from the fermented (red) tofu, not the curdled blood as you may expect. The fermented ingredients including fish sauce, shrimp paste and the tofu give the dish a deep savoury flavour whilst still being light. With this soup (and with others) the ‘done thing’ seems to be to get a packet of pork scratchings from the shelves in store for dipping. 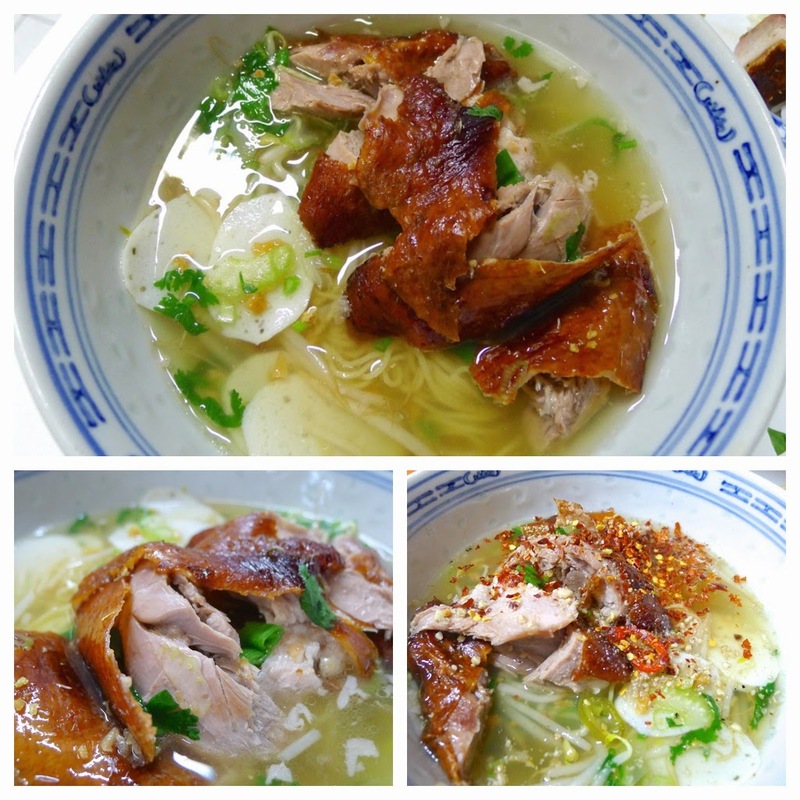 Kuay Tiew ‘Duck’ – yellow egg noodles in a ‘duck’ broth with roast duck, sliced fish balls, morning glory and bean sprouts. This is probably my favourite of Siam Smiles’ noodle dishes – I particularly like this type of noodle (known as ‘sen ba-mee’) and also how the fat from the duck flavours the broth; the crispy skin is another plus. 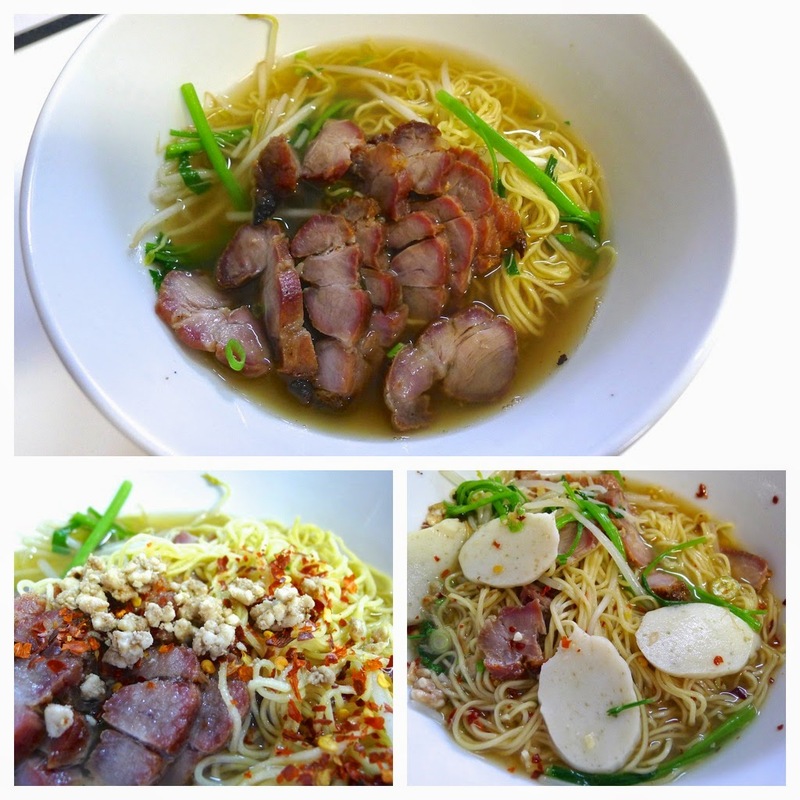 Kuay Tiew ‘Moo Dang’ – another yellow egg noodle dish, this time with red BBQ pork (Chinese five spice). Sliced pork balls, bean sprouts, spring onion and a little choi sum finish the dish. As with all the noodle dishes, the final flavour is down to you own preference and use of the condiments. Kuay Tiew ‘Chicken’ – thin, flat rice noodles in a standard ‘nam sai’ broth with steamed chicken, sliced fish balls, bean sprouts, bitter melon, spring onion and coriander. 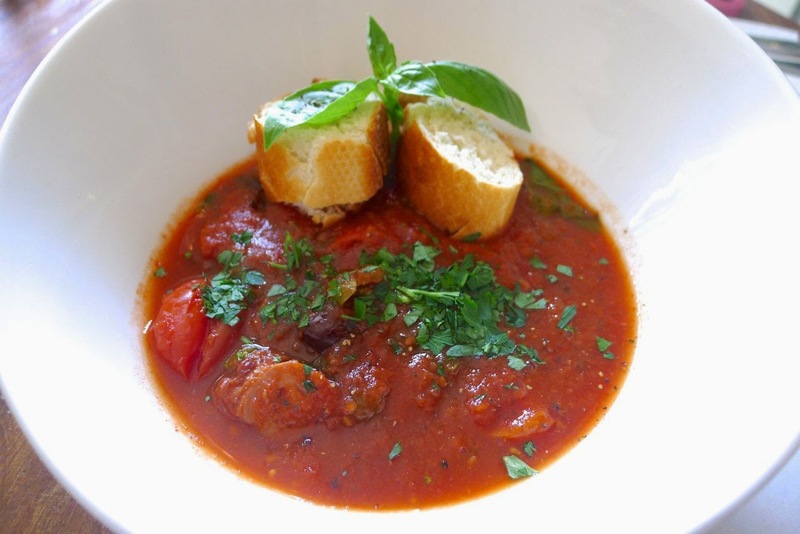 Very clean flavours – obviously, that is until you’ve added your chosen seasonings. 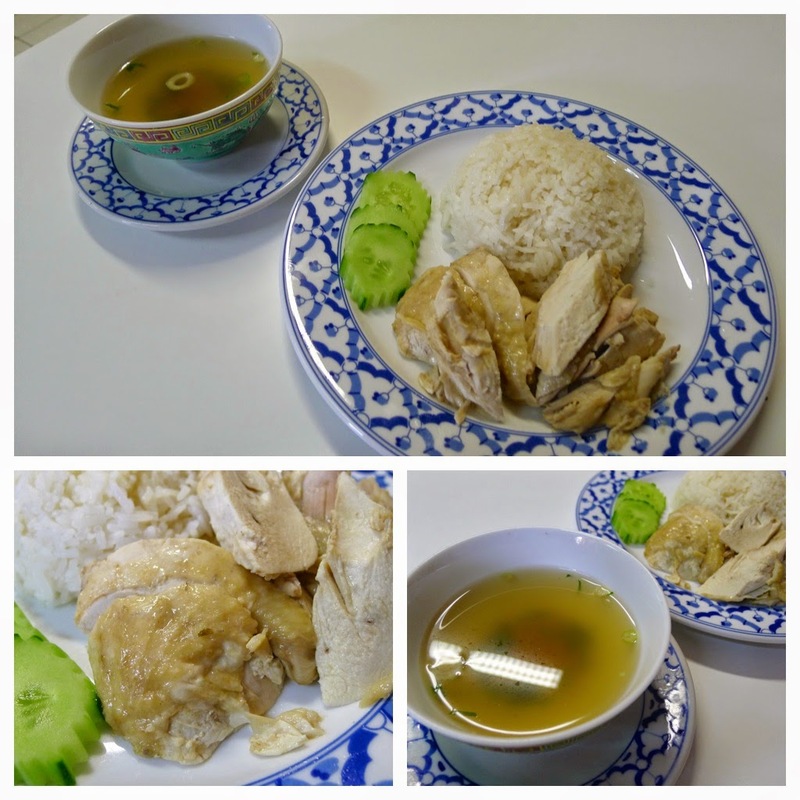 Kow Mun Kai – translating as 'oiled rice with chicken', Kow Mun Kai is the Thai version of ‘Hainanese chicken rice’ - a dish popular throughout South East Asia, particularly in Malaysia and Singapore. At Siam Smiles corn fed chicken, rice and cucumber is simply served with a small bowl of the rich chicken broth, which gets its ‘oiliness’ from the fat (and therefore flavour) from the chicken that has been simmered in it for some time. 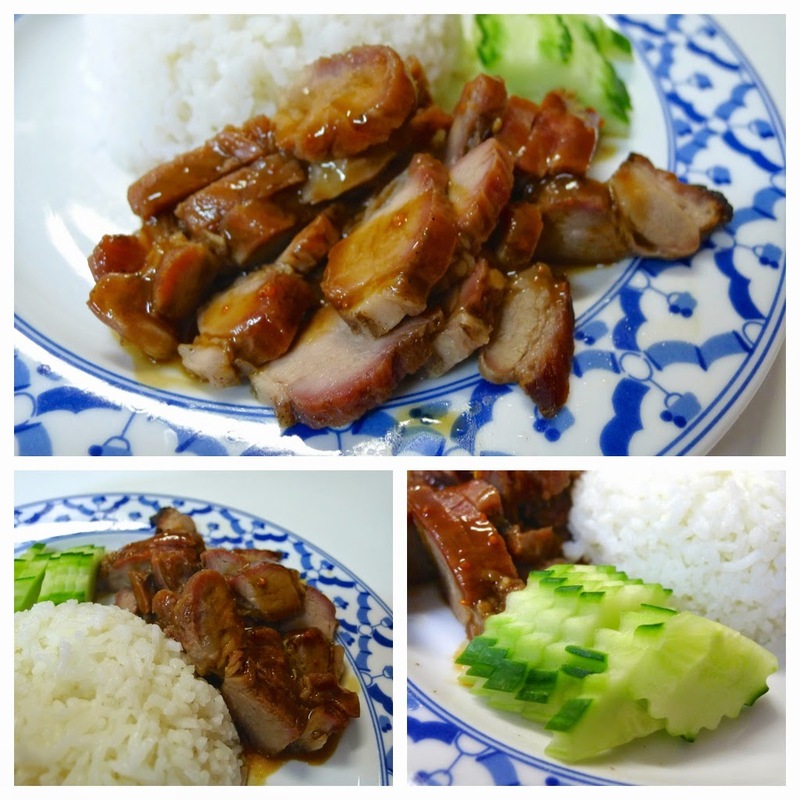 Kow Moo Dang – roast red BBQ pork with rice. A simple dish of pork flavoured with Chinese five spice and served with rice and cucumber (I believe a boiled egg is the usual accompaniment). 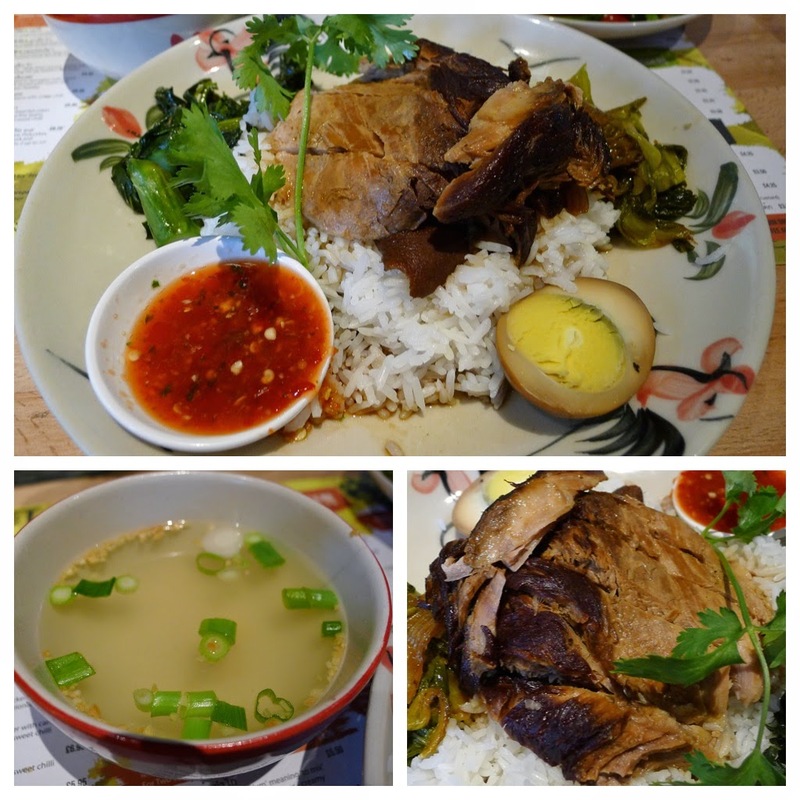 Kow Moo Krob – crispy pork belly with rice and pork sauce. I’ve had this dish twice now and neither time did it come with a sauce as ‘advertised’. This wasn’t a problem however because the pork was mouth-wateringly moist with a crisp skin; so a quick dip in soy was all that was needed. 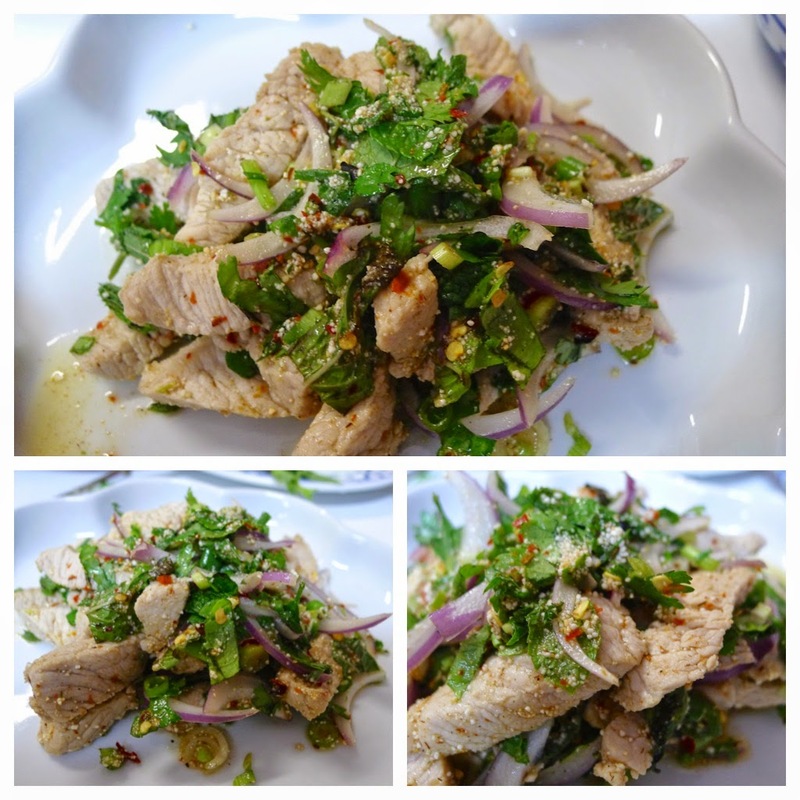 Laab Nam Tok Moo – grilled pork slices with Thai spices. I’ve had this and the similar Lab Moo (below) twice each. On one occasion (different days) both of them have been very spicy and all the better for it; on the times when they have been less spicy, they’re still very fresh dishes thanks to the mint leaves and crunchy red onion. 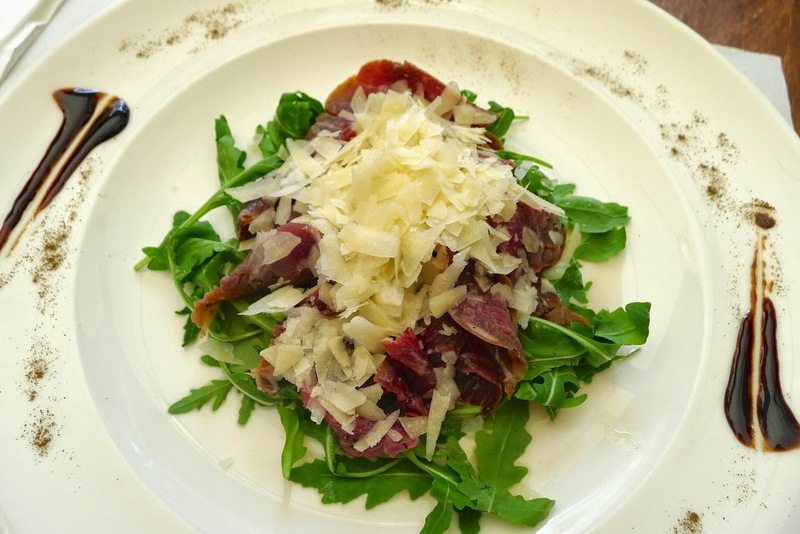 Lab Moo – mince pork salad with fresh mint and their herbs. 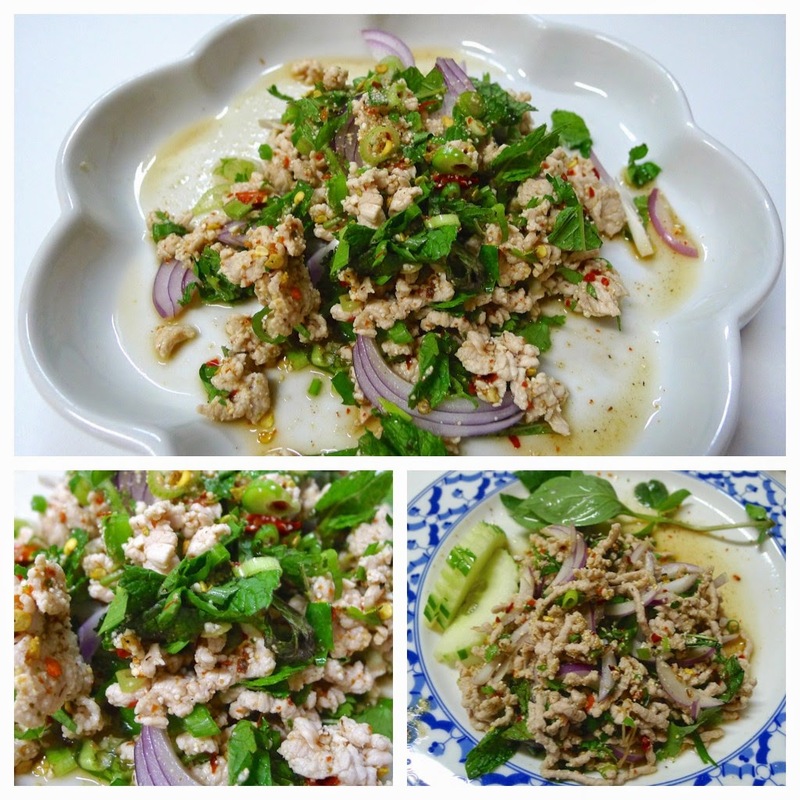 As mentioned, this is a similar dish to the Laab Nam Tok Moo (above). Of the two I prefer the one with the slices of pork over the mince, which I found a little dry and grainy. Som Tam E-san - green papaya salad, E-san style. 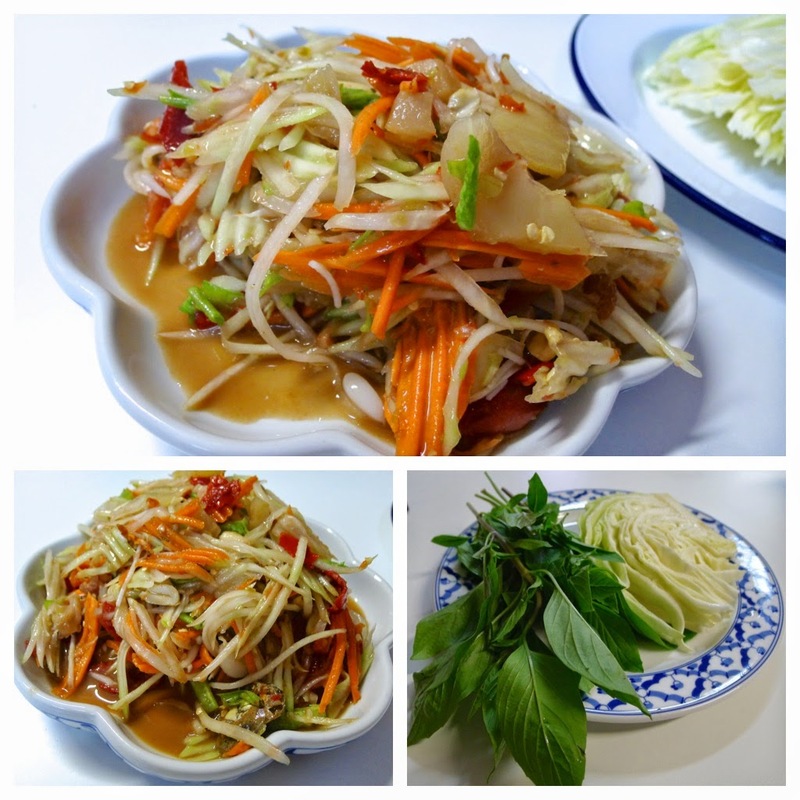 If you haven’t had one before, be warned that som tam can be a deceptively spicy dish. This is especially true of the Issan (or E-san) version, which has considerably more chillies, garlic and delightful little salted crabs. 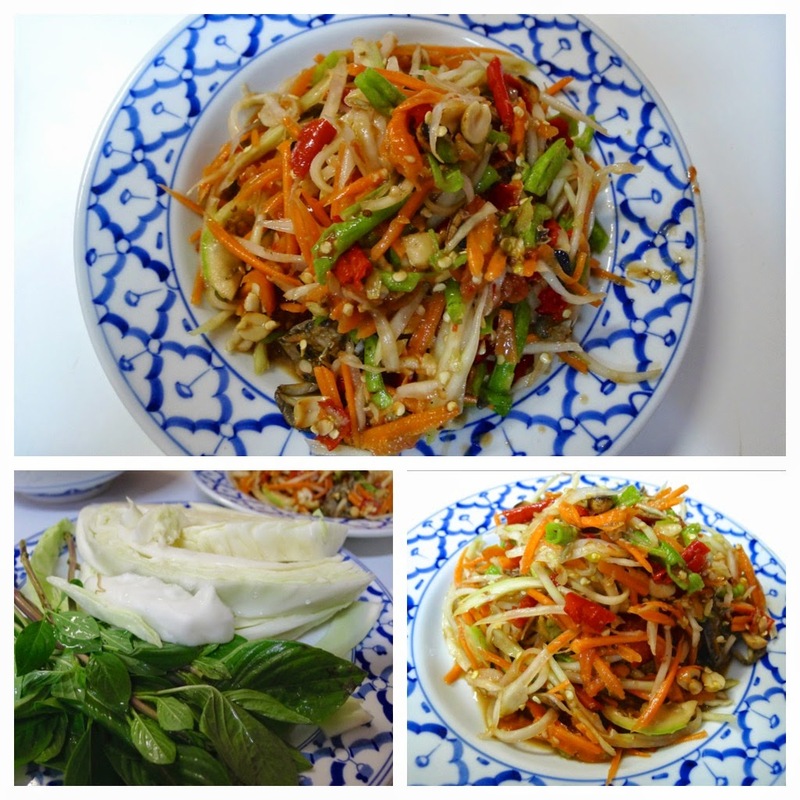 Som Tam – green papaya salad with peanut and dried shrimp. At other places I have found this dish is often served far too sweet or with too much fish sauce for my taste. For me, Siam Smiles effort is well balanced with chilli, lime, fish sauce and palm sugar. The dishes authenticity also shines through with the addition of salted crabs, which are to be eaten shell and all. 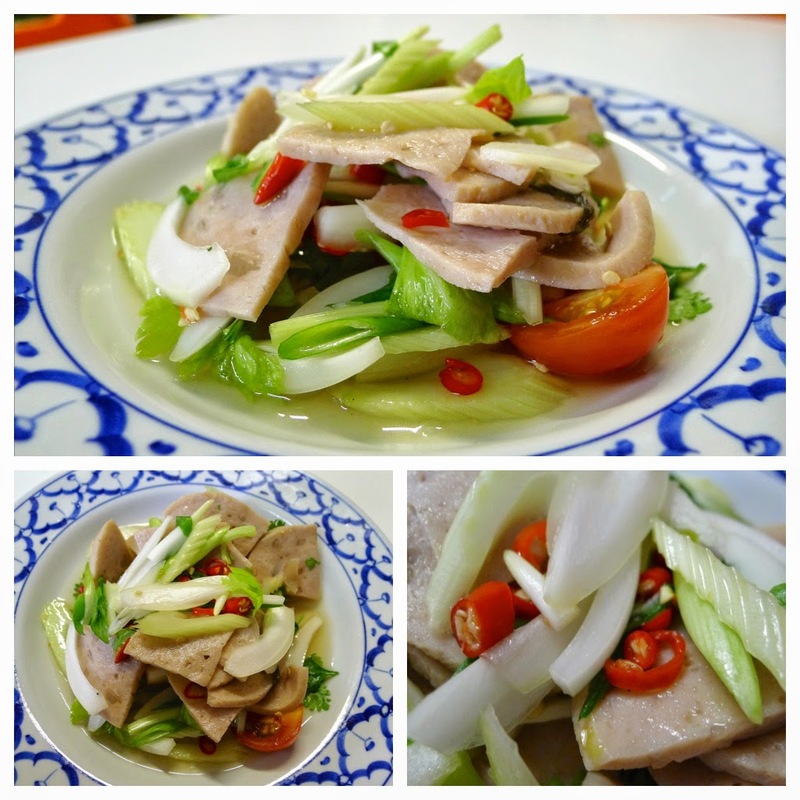 Yam Moo Yor – steamed white garlic sausage (traditionally steamed in banana leaves) mixed with a spicy salad of Chinese celery, coriander, spring onions and tomatoes, dressed with fish sauce, lime, sugar syrup and chillies. A good dish if you like this type of sausage. 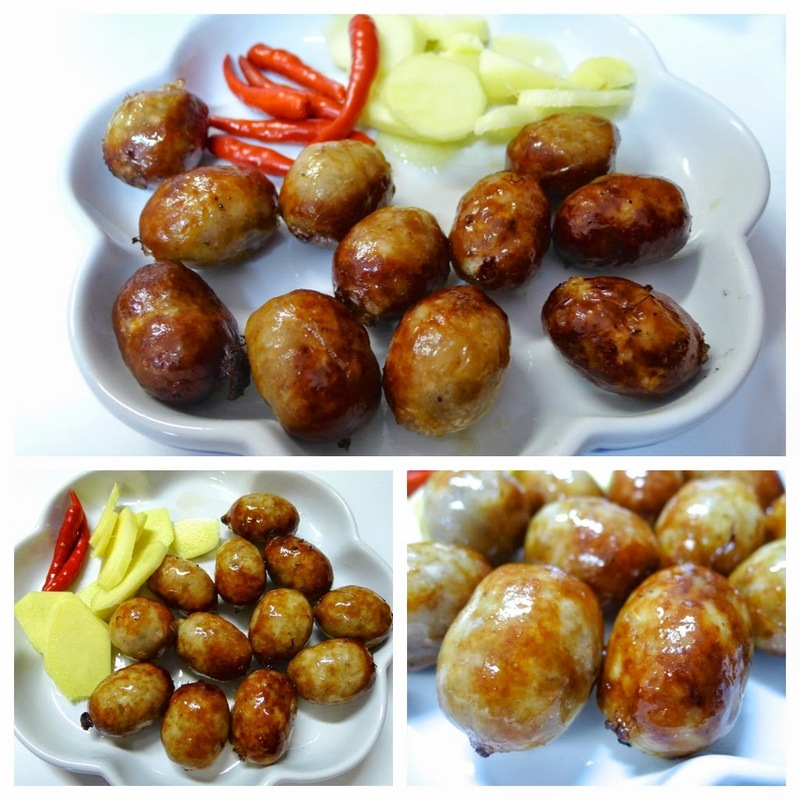 Sai Krok E-san – fermented Thai sausages with ginger, chilli, cabbage and morning glory. These delightful little sausages have a great flavour. They contain rice and are allowed to ferment for a few days which gives them a subtle sour note. If you like spicy food ask for some extra fresh chillies and eat each one with a slice of ginger and half a fresh chilli… that should keep any cold viruses at bay. 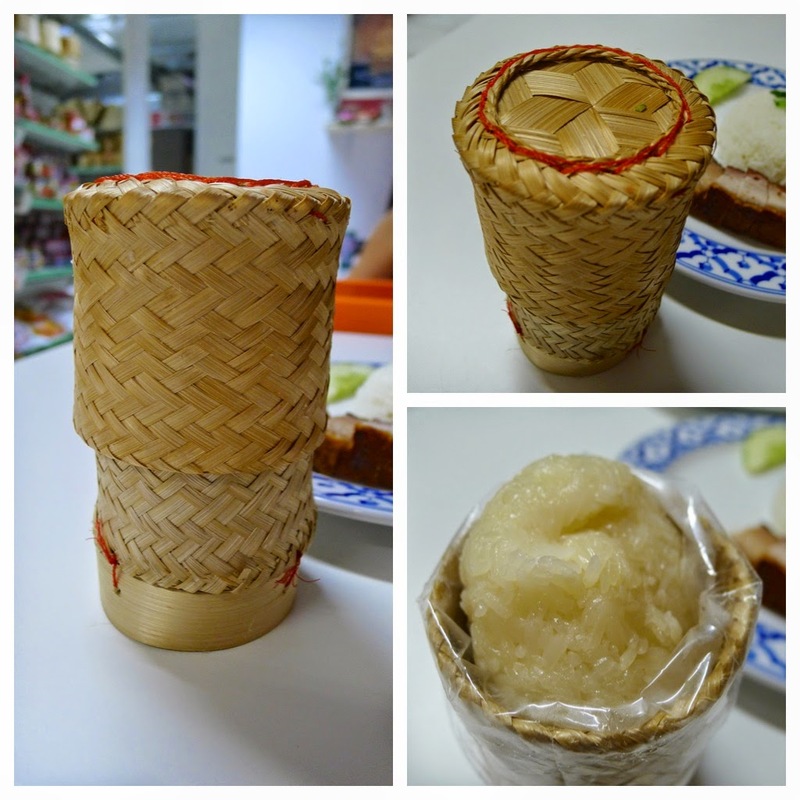 Khao niao – the Thai staple of sticky (glutinous) rice. At Siam Smiles they serve the rice in its steaming rice basket. For me, despite or perhaps because of its rustic charms, Siam Smiles is one of the most exciting openings Manchester has had for quite some time… simply put, I’ve fallen for the place; never before have I returned to a restaurant so much over such a short period of time. I don’t suppose I will return to Thaikhun. These disclosures apply to both venues. A traditional 18th Century Inn, The Assheton Arms in the historic, untouched conservation village of Downham near Clitheroe, is a charming Grade II listed pub with views over the Ribble Valley to Pendle Hill. Pickled cockles in spiced vinegar – for just £1.50 you can’t not order a bowl of cockles. I asked on Twitter earlier for a better way of describing cockles other than ‘plump’… we came up with ‘cuddlesome’ and the Yiddish phrase ‘zaftig’ – both seem fitting. My one niggle being a little too much sweetness in the vinegar for my palate. 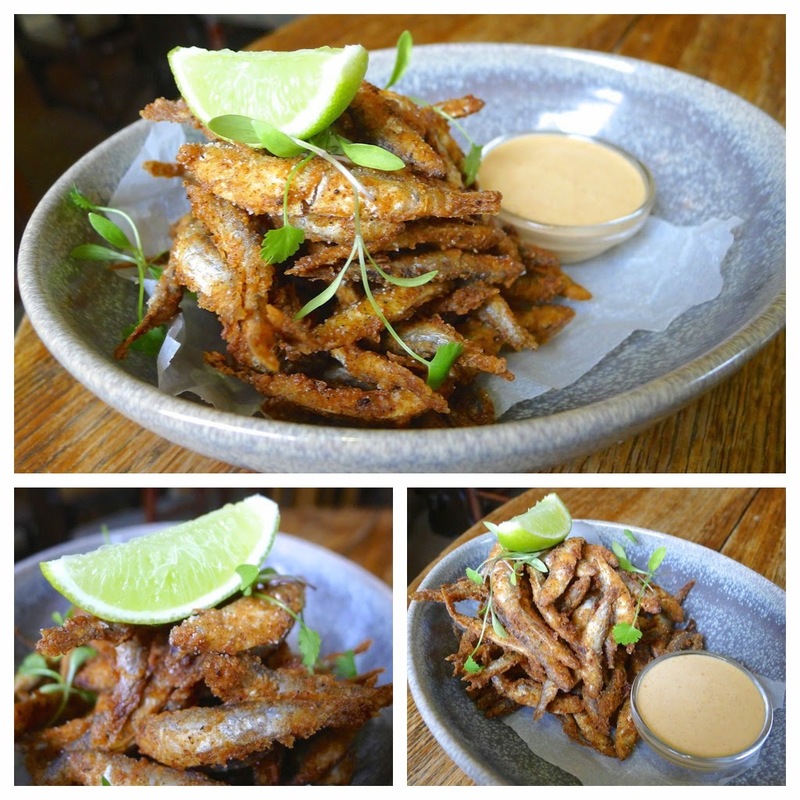 Devilled whitebait, kimchi mayonnaise – as tasty as these were, I’m a little annoyed with myself for ordering whitebait without first checking with the Marine Conservation Society website. 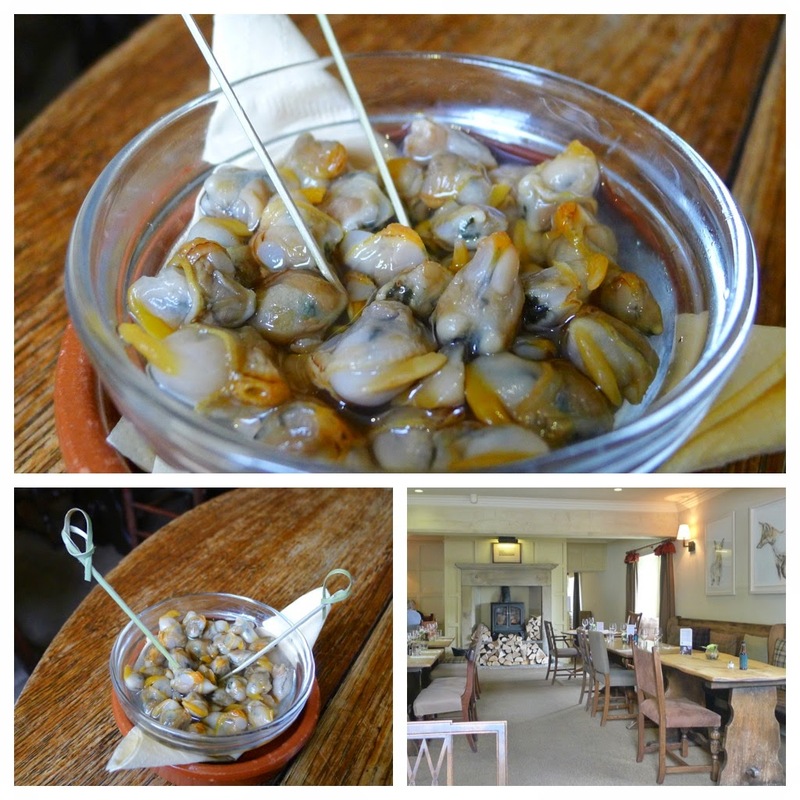 A year or so ago in a post about the Pheasant Inn (see here) I vowed not to eat them until they had been removed from the ‘fish to be avoided’ list and their status had been lowered from 5 (the lowest sustainability rating). The waiter assured me that they were ‘sustainable’ but I should have checked for my own peace of mind. 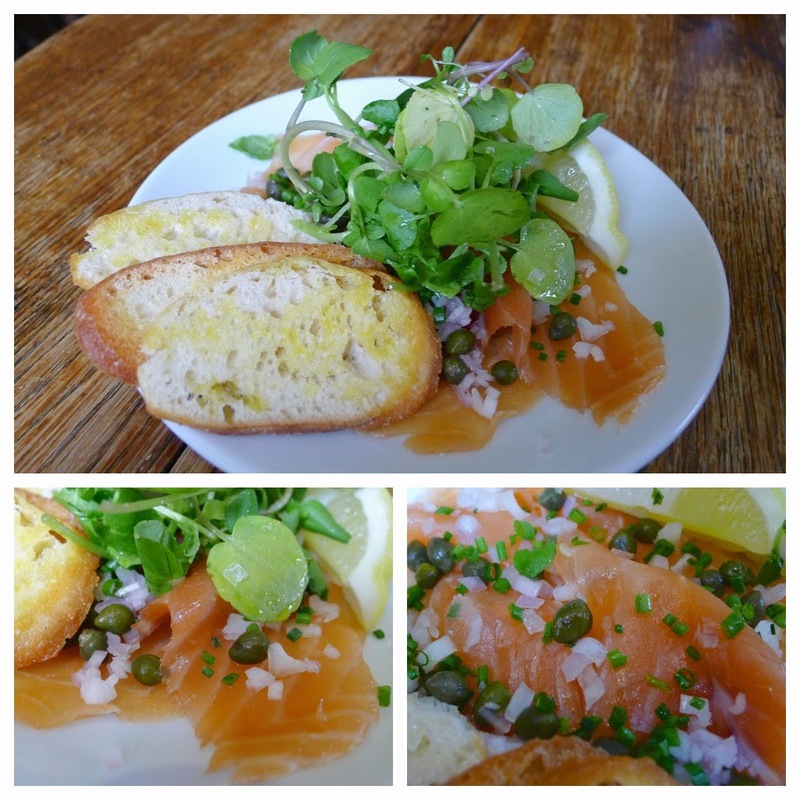 Assheton Arm’s hand sliced smoked salmon, watercress, lemon & cracked pepper – beautifully smoked salmon, produced onsite in their smokehouse using a blend of cherry and mesquite smoke. Perfect smokiness for me; the flavours were prominent without overpowering. 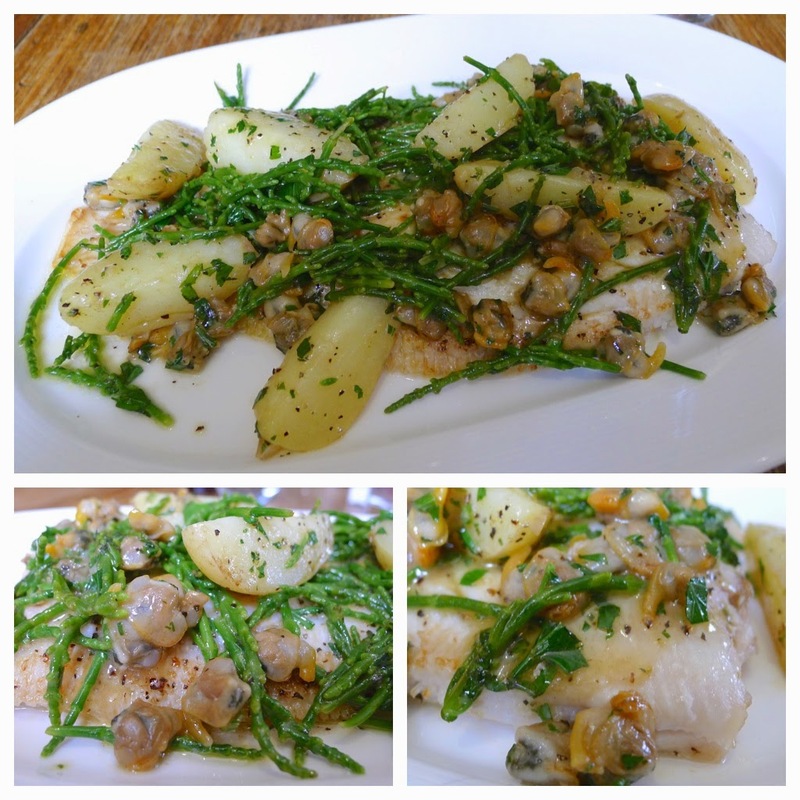 Whole lemon sole, cockle butter, samphire & new potatoes – this dish was a real joy. A quick search on my blog shows that I’ve eaten a fair bit of lemon sole over the past couple of years but I can’t recall when or where I last had one served so delightfully in the classical way (although when ordering a ‘whole’ fish, I expect the head to be on). Real punchy flavours from the rich, herby clam butter. 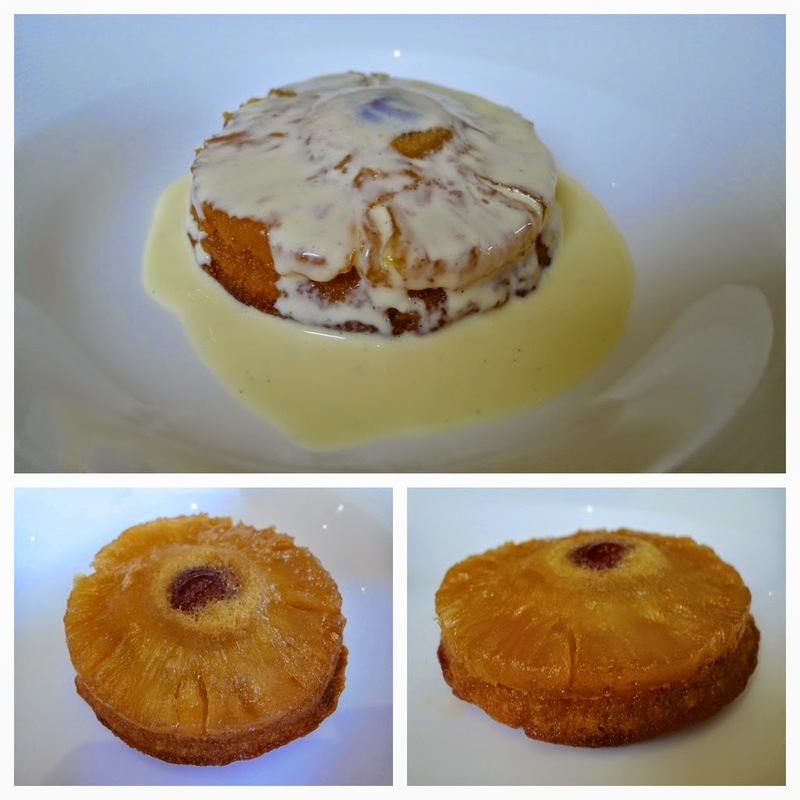 Pineapple upside down cake with golden syrup and proper custard – a good ending to the meal. It as light enough to be suitable for a summer’s day but still had those comforting flavours of a proper homely dessert. 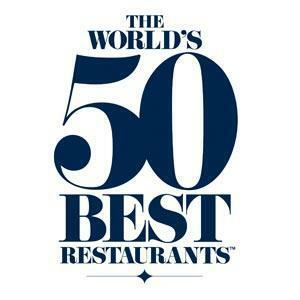 I’d definitely return to The Assheton Arms and am keen to try the Seafood Pub Company’s other places. 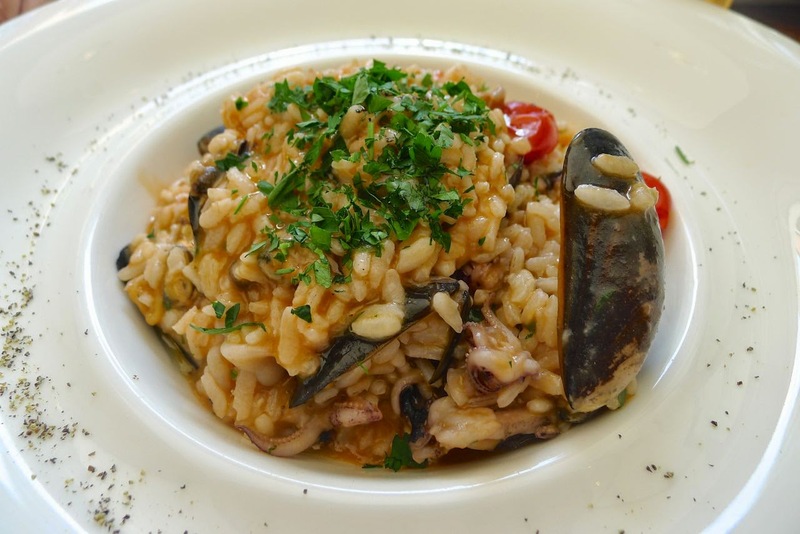 It seems as though I’m not destined to have much luck with Italian restaurants in Manchester... even those that others seem to love – my experience at San Carlo Bottega was “not the best”, the same could be said of CIBO. 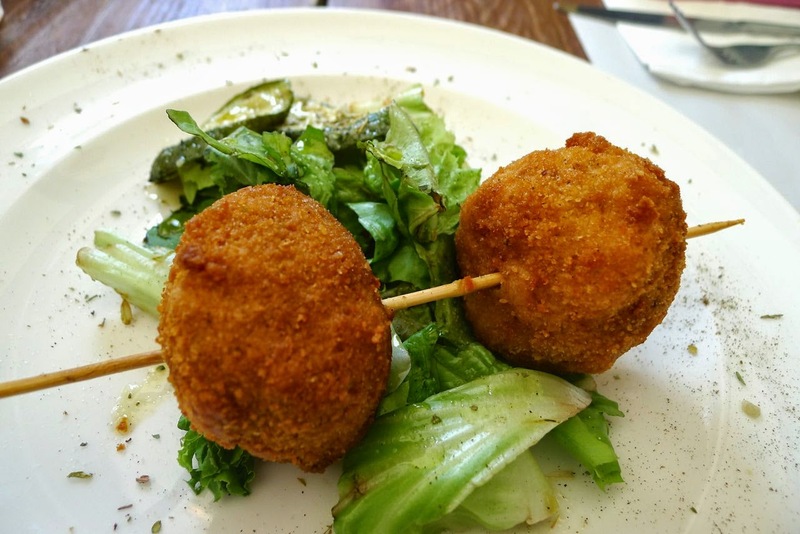 Thankfully CIBO has since closed and is soon to be reopening as a SoLiTa; run by Franco Sotgiu who for a time was partner in what I felt was Manchester’s best Italian, “Italia” which sadly also closed after his departure. As a fan of Salvi’s Deli, I had high hopes from this, their new restaurant on John Dalton Street. Even more so when I started to read good reports in Twitter. I'm not going to waffle on any more but get straight to the point as it is a long time since I have been so disappointed by a meal. 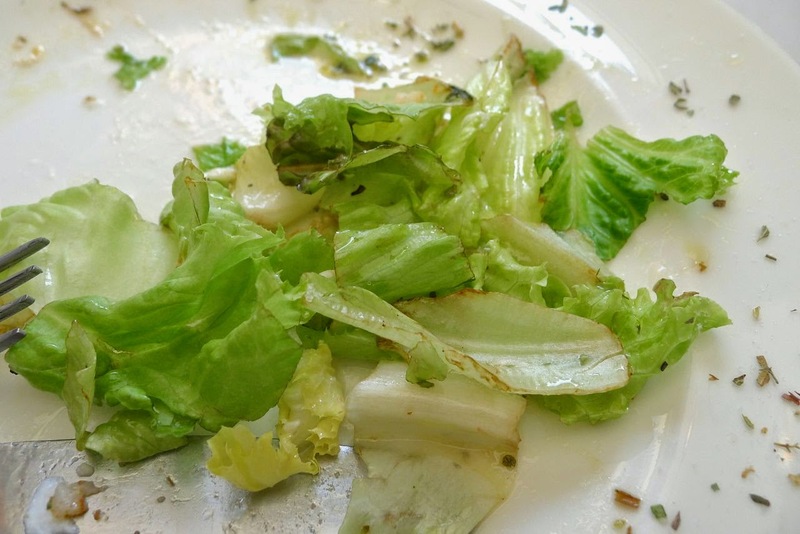 * Lettuce was old and brown around the edges. 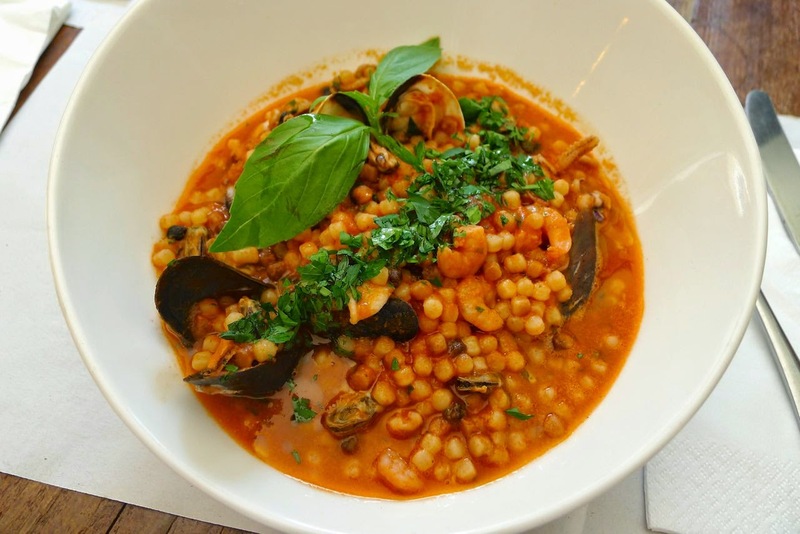 * The Fregola on the other hand could have sone with some pepper… and some salt. The selection of Italian drinks (both soft and boozy) on offer was great. The service was good too. We declined dessert and went to a place nearby. 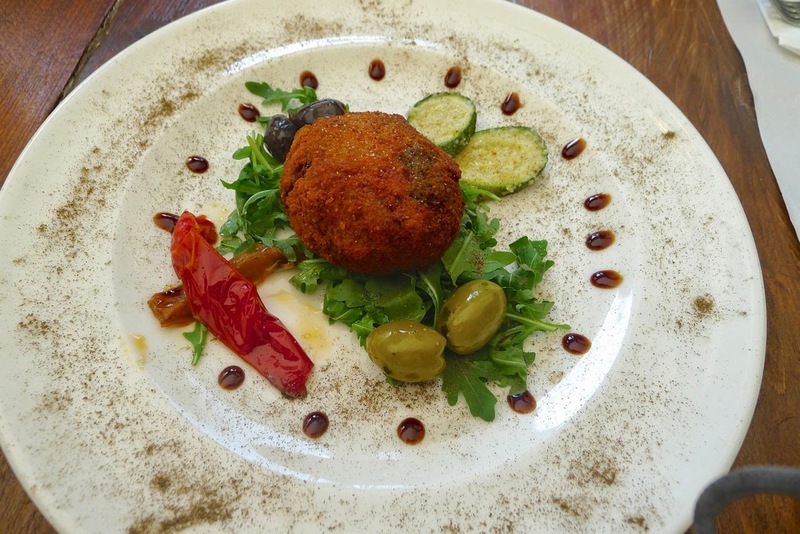 Salvi’s Cucina has been nominated as ‘Newcomer of the Year’ in this year’s Manchester Food & Drink Awards – vote for it here. 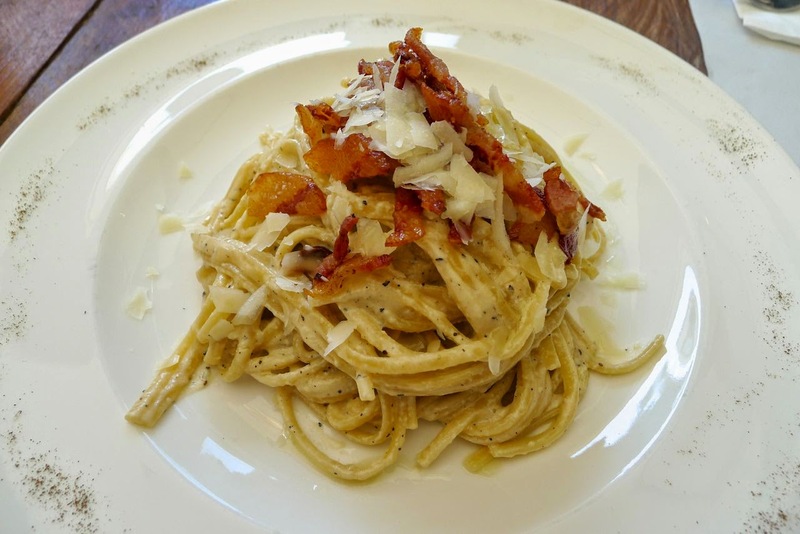 Sticky Walnut – more than just ‘shin & chips’?